One Earth Designs Inc. is a 501(c)(3) public charity registered in the US with EIN 27-0253576. One Earth Designs formed from a common passion to bring social and environmental innovations to people around the world. We are a self-motivated multidisciplinary team of scientific engineers, practical thinkers and creative designers, drawn together by a common passion to bring social and environmental innovations to people around the world. We only have this One Earth, and it is our collective responsibility to design a world that lives in harmony with nature, and that future generations can continue to enjoy. One Earth Designs’ mission is to design products that help people live sustainably within the resources of our One Earth. Development need not come at the cost of health, either of people or the environment. We believe that, by harnessing small daily activities for good, together, we can make meaningful change and impact. Through innovation, education and design, we want to empower people to take responsibility and be proactive in improving their lifestyles to live harmoniously on Earth. For too long now we have been over-depleting our resources, and creating systems that rely on wasteful habits. Our dream is to build a future where resources are generated and waste processed cleanly at a household level. That means bringing to homes around the world a complete energy suite that is clean, convenient and renewable, reducing global reliance on polluting solid fuels. We can be the catalyst for positive change by connecting communities and understanding our natural environment, through rapid learning and experimentation. Working alongside people in rural communities, we are combining valuable local knowledge with modern design thinking to create convenient and accessible products that are in harmony with people and nature. We strive as a sustainable organization committed to bringing measurable benefits to both people and planet. 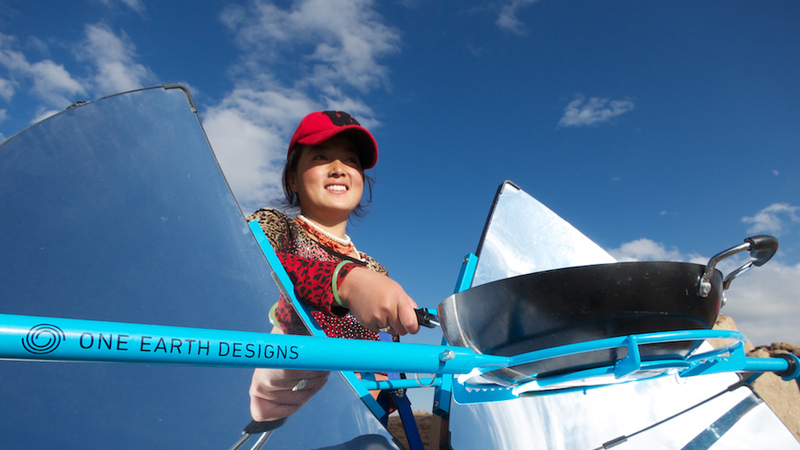 We work as a think-and-do research-and-design tank, developing solutions for people & the planet. We seek to create complete design solutions that integrate principles of social, environmental and financial longevity. Our contributions to society should bring about positive progress to leave the world a better place. In 2005, Scot Frank arrived in Beijing to teach an engineering summer program. However, no students had enrolled on the program, so instead he travelled through Western China along the Silk Road, and ended up teaching his program in Qinghai University. This would be the first of many visits, where in students’ villages he would help them to install wells, fix tractors, build greenhouses, and train his students in engineering techniques with which they could help their communities. 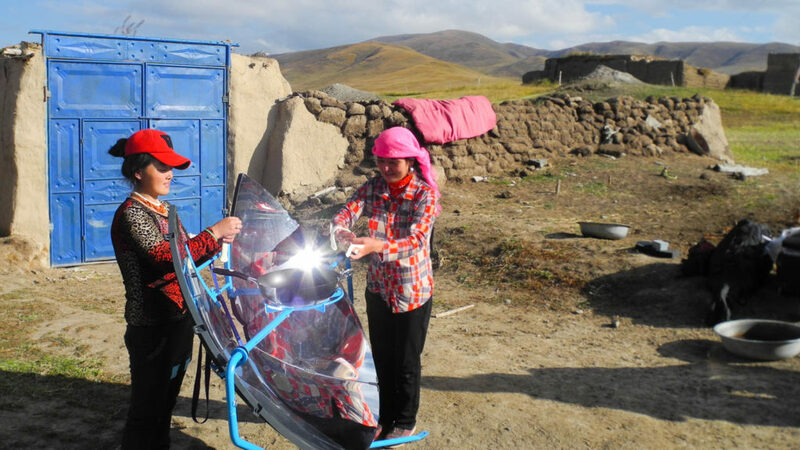 Two years later, Catlin Powers, while studying climate change, met a local Qinghai family who invited her into their home. They asked her why all these scientists came to study outdoor pollution, when indoor pollution was so much worse. Measuring the indoor air, she found that it was ten times more polluted than Beijing. Turns out that each year more than half a million people were dying in China from toxic smoke coming from their stoves, and worldwide the death toll was around 4 million. The fuel problem did not end there. For children to attend school, families were required to send fuel with them. Girls spent much time gathering fuel for their brothers’ education. Illegal deforestation and removal of excess yak dung fertilizer impacted not only the health of the land, but put a strain on family finances. It was while experimenting with families on improved energy technologies, that Catlin ran into a young man who told her of a teacher who was helping students on engineering solutions in their communities. “Many foreigners come through our lands and give us things or tell us that we should live differently, but this teacher is one of the few who help us work on the things we think are important.” This teacher was Scot, and it was there on the Himalayan plateau that the One Earth Designs collaboration began. Since then, the partnership has grown into a team of passionate individuals. 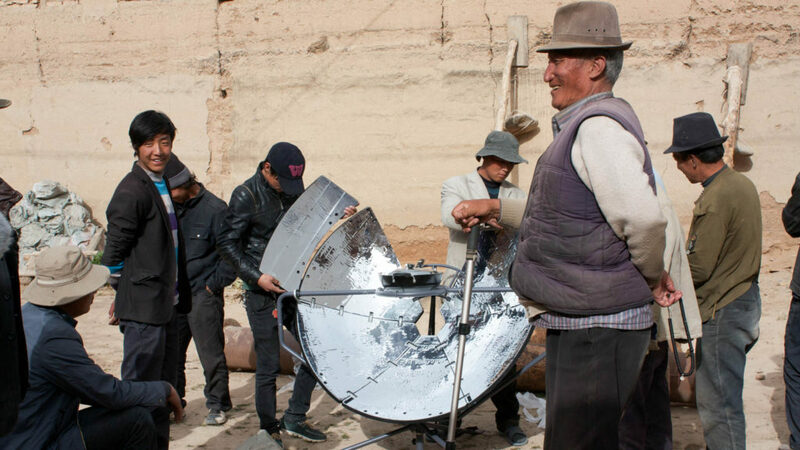 Community projects in Qinghai turned into innovative ideas, and in turn these were developed into technological products that resonate on a global scale. In 2012, One Earth Designs commenced responsible production of SolSource, achieved ISO 9001 and 14001 certification, as well as being a B Corp Certified company. The company went on to win numerous international awards for our innovations.